A cleaner and sanitizer that quickly cleans mold-related build-up in HVAC systems. One 8 oz. bottle of Fast Attack makes 2.5 gallons. 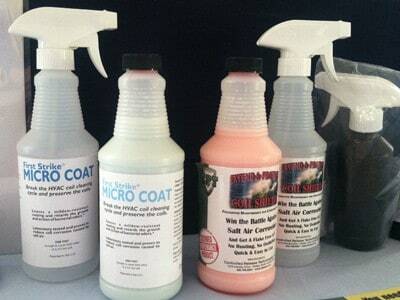 Fast Attack HVAC System Sanitizer is cleaner and sanitizer that quickly cleans mold-related build-up in HVAC systems. 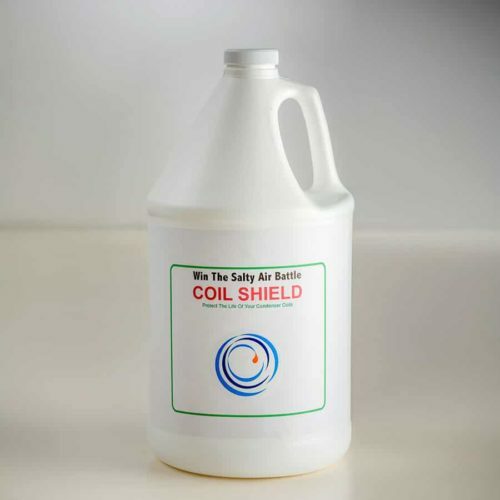 Its anti-microbial coating is engineered to remove odor-causing algae, fungus, bacteria and mold. The interiors of HVAC systems are breeding grounds for odor-causing fungi and bacteria. Most air conditioners have never been sanitized. Iodine, one of the oldest and most effective antimicrobials, was designated as an element in 1813. It was used during the American Civil War to treat battle wounds, and is used daily in modern hospitals and surgeries worldwide. EPA registered. 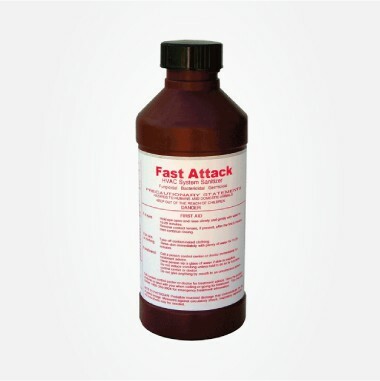 Fast Attack is sold in a light-weight concentrate that is unaffected by freeze-thaw cycles. One 8 oz. bottle makes 2.5 gallons. 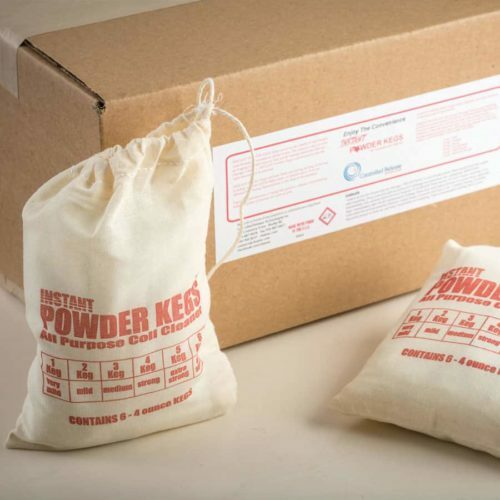 Note: Fast Attack can not be shipped to residential addresses, only business addresses. This product is not provided with any child proofing.